For one week, Dec. 14-21, customers at the DeWitt Barnes & Noble can donate a portion of their purchases to Syracuse Stage by presenting the Barnes & Noble Bookfair voucher. Online customers can also donate by entering the Bookfair Event ID Number—11177185—in the designated field found at the bottom of the payment page during checkout. Donations will support artistic and educational programming at Syracuse Stage. 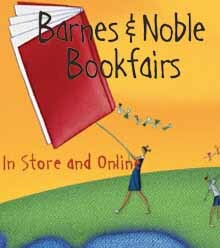 The bookfair will kickoff on Saturday, Dec. 14, at the DeWitt Barnes & Noble, where members of the Syracuse Stage Guild will distribute vouchers from 9 a.m. to 9 p.m. At noon, there will be a 30-minute live performance by Joe Davoli, the fiddler from the Syracuse Stage production of “A Christmas Carol.” The recipient of two SAMMY awards, Davoli has a successful private studio in Syracuse where he teaches fiddle and mandolin to children and adults. He is a member of Ceili Rain, and his solo CD, “Game Plan,” has received national acclaim. The Syracuse Stage production of “A Christmas Carol,” co-produced with SU Drama, runs through Dec. 29 in the Archbold Theatre at the Syracuse Stage/Drama Complex. Tickets are $20-$54 and can be purchased online, by phone at 315-443-3275, or in person at 820 E. Genesee St.